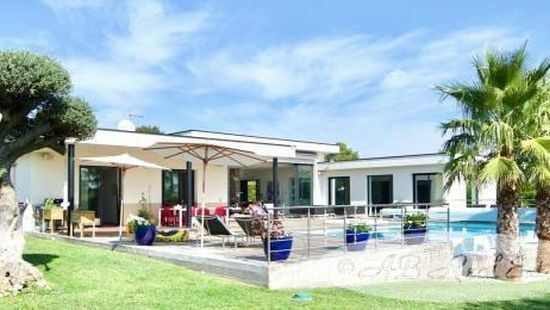 280m² of single storey liveable space, built and decorated with taste and high quality materials, 5 bedrooms, office, double garage, swimming pool, terrace, 2100m² of land, residential area and calm environment, close to amenities. A rare property you must visit! A superb contemporary property ideal as a family home or holiday home. High quality, space and wellbeing on the agenda! A very demanded situation as not overlooked and yet close to everything – motorway, Mediterranean sea beaches, city – Must be seen without delay!